David Gillespie, author of the controversial Sweet Poison: Why Sugar Makes Us Fat, has returned with another divisive book on the subject of vegetable oils. The contention of his new book is aptly summed up in the title, Toxic Oil: Why Vegetable Oil Will Kill You and How to Save Yourself. Dramatic stuff. But before you go rushing out to boycott all cooking oils, how about some background on this “new evidence” that vegetable oil is systematically killing us? Gillespie’s latest in what is becoming a worryingly black-and-white view of food and nutrition is based on the premise that seed oils (such as canola, sunflower, sesame and rice bran) are the root of many lifestyle-related conditions – things like cancer, obesity, type 2 diabetes and heart disease. This more or less goes against all advice we are used to hearing from medical professionals, and is as flawed as hypothesis of his previous book on sugar, which claimed that fructose – the sugar naturally contained in fruit, among other things – is the sole cause of modern-day obesity. 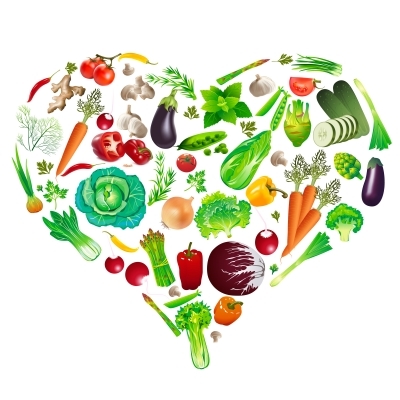 The rationale behind his condemnation of vegetable oils is that polyunsaturated fats, due to their susceptibility to oxidation (that is, reacting with oxygen) in the body, cause cancer, and that in combination with sugar they cause heart disease. It is for this reason, he says, that we should focus more on saturated (think animal products, such as butter and meat) and monounsaturated (such as avocado and olive oil) fats. Gillespie’s scare tactics go from bad to worse, first with an appeal to guilt – “Every mouthful of vegetable oil you consume takes you one step closer to a deadly (and irreversible) outcome. Every mouthful of vegetable oil you feed to your children is doing the same to them,” – and then by playing on our distrust of big corporations. He now suggests that the cholesterol medication that many thousands of Australians have been prescribed is merely a money making scheme by drug companies. Conditions such as high cholesterol, obesity and cancer were unheard of 200 years ago, he argues, and their steady rise can be linked to the comparatively recent recommendations to switch to vegetable oils. Never mind that 200 years ago the life expectancy was less than half of what it is now! Such a wide range of factors has contributed to the rise in such diseases – it’s ridiculous to suggest that the consumption of vegetable oils is solely to blame. Gillespie’s black-and-white view fails to take in the whole picture. Instead of looking at foods as they really are – heterogeneous, or a mixture of components – he sees them as homogenous. 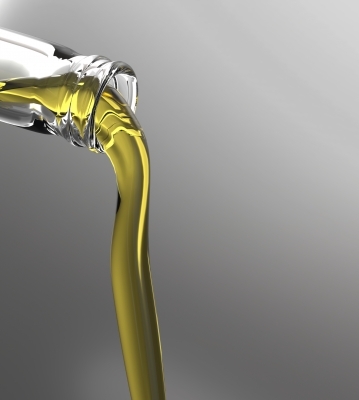 While he places a blanket ban on certain oils, the fact that is any fat source, animal or plant, will undoubtedly contain a number of oils in different proportions. 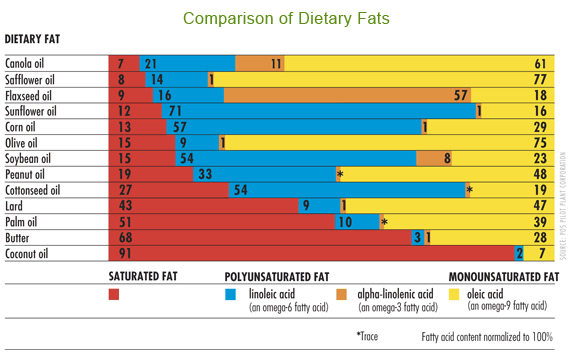 Even the animal fats he advocates contain a mixture of saturated, monounsaturated and polyunsaturated! Composition of different oils – note that none are exclusively made up of one in particular. This black-and-white approach is also evident in his argument regarding polyunsaturated fats and oxidative stress. While there is some evidence to suggest that oxidative stress as a result of polyunsaturated fats is relevant, he fails to mention that in a healthy diet, these effects are counteracted by antioxidants in the body such as vitamins C and E. The best research currently available shows no significant correlation between polyunsaturated fats and cancer, yet an overwhelming body of evidence does just that with saturated fat, and recommends replacing it with the former to reduce the risk. See the findings from this analysis of 11 cohort studies. A large number of highly-regarded medical spokespeople – including Professor Simon Stewart, head of preventive cardiology at the Baker IDI Heart & Diabetes Institute, and well known dietitian Rosemary Stanton – openly disagree and challenge Gillespie’s arguments. They both agree that a majority of the evidence the author speaks of is ‘cherry-picked’ – in other words, he has taken quotes and sections from studies that portray the story he would like to tell, whilst frequently misrepresenting the actual results. An example of this, says Stewart, is an outdated 1969 Los Angeles Veterans study which Gillespie cites. The study was intended to determine whether replacing saturated fat with polyunsaturated fat would lower the risk of heart disease, and while Gillespie interpreted its findings as showing a huge increase in cancer, supposedly due to the high omega 6 levels in the polyunsaturated fats – in fact, this is completely false. No statistical significance was shown. Another study on which he bases much of his evidence dates back all the way back to 1966-73. 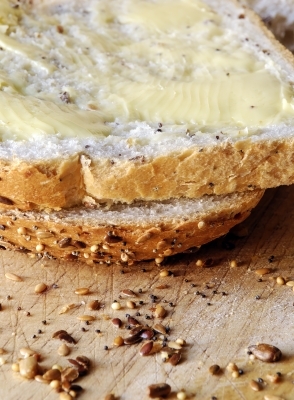 The Sydney Heart Study observed two groups of men, one consuming butter, the other consuming margarine, with results showing a 60-70% higher mortality rate for those on margarine. Sounds convincing doesn’t it? Not so much though, when you take into account that all men involved were over 50, all were smokers, all had experienced heart attacks previously, and all were required to eat margarine at portions of around three times what would be expected now. Not to mention that 50 years ago margarine contained trans fats – an unsaturated fat that has been processed to mimic the sensory characteristics of a saturated fat. This allows an unsaturated fat to be solid at room temperature, and also increases LDL (bad) cholesterol in the body, while lowering HDL (good) cholesterol. Gillespie need not worry about trans fats in polyunsaturated oils, though. They are very rare in Australia now, particularly in seed oils. The main sources of those nasty trans fats are meat, dairy, pastries, pies – basically in saturated fats, the ones Gillespie recommends. Great content Felicity. You wouldn’t get legal advice from a nutritionist, so why on earth would anyone take serious nutrition advice from a lawyer? I read and enjoyed the book. I have given up fructose and seed oils. Result is i now eat little processed food and have never felt better. Great to hear you’ve had such success! My issue is mainly that the author puts blanket bans on certain foods, and backs his dramatic claims up with shoddy evidence. But we all have different opinions. I would be more inclined to believe a lawyer since most nutritionists are paid out by the heart foundation (who have an interest in making money from low fat foods) and other companies who probably don’t have your best interests at heart. As a future nutritionist, my aim of providing well researched and safe advice has nothing to do with money. I’d be inclined to say Gillespie is making more money off this than many nutritionists advocating certain products. Any evidence for this Rachel or just a conspiracy theory? Kelly, have you actually read the research David Gillespie quotes re Seed Oils – he can’t even quote them properly! Your reference to past advice failing from health professionals leaves out on e important point – was the advice taken. Look at US and Australian food intakes and see how well the low fat message was actually taken up! While we now more more about ‘good’ fats – there is still a big gap between the messages and what people are actually eating! “Well he’s done it again” implies that you have read the other book of his “sweet poison”, which last time we communicated, you hadn’t. I wonder if you have read this book? Any points you did make about “sweet poison” were all made up, jumping to convenient conclusions to support your own argument. I found reading this blog post of yours interesting, but I’m left wondering if it’s all made up too…. “cherry picking” studies to support your own theories. “Well he’s done it again” implied that he has yet again written another divisive book – as I said. I haven’t read either book; but what I’ve said is based on many excerpts I have read from them and interviews with the author. I find his sweeping statements difficult to comprehend as they defy so much scientific evidence. Please make your own mind up though. What you have written has presented more like a uni assignment and not the balanced argument you think you are presenting. Book reviews on books you haven’t read make you appear silly. In particular, I think you are missing out by not reading sweet poison. I think you would really relate to it because of your lolly addiction. After reading it, even if negative, your opinion would be more valued. Quite a few years back (maybe 16years?) I attended a presentation by Rosemary Stanton. What I remember from that was, 1. she was on a mission to alert the world that trans fats were bad, 2. she had a large jaw, and 3, she said Australians had too much sugar in their diets. Back then, I thought that was a little odd, because we were educated into thinking sugar is fine, it’s saturated fats that are evil. She told a story of how she bought her children up not eating much sugar, and because of that her kids had no taste for refined sugar, and then she told a story of how one day, after pestering and pestering, she allowed them to try fruit loops, and upon tasting them, they spat them out and said how horrid they were, and never wanted to try them again. Back then Rosemary was saying refined sugar is bad and her and her family didn’t eat it. To dispute the book, she must have changed her mind and be eating differently herself, or maybe she too hasn’t read the book? Firstly I should point out that this was not intended as a book review; but to investigate the ideas behind the authors theories. If it comes across as a uni assignment, perhaps that is because I am still a uni student with much more to learn. Now I think it’s important to realise my comments about sweet poison were very minor, in fact all I really did was mention it existed. Every opinion stated in that article was based around my philosphy that moderation is key and no food can be exclusively blamed for any kind of health issue. I have since stopped eating lollies with little difficulty. Furthermore, in regards to rosemary Stanton; the reference I made to her was regarding the second book-nothing to do with sweet poison, so no need to doubt her credibility. I’m glad you have such an interest in health, and thankyou for reading my blog – even if you do enjoy poking holes in it. No Bobbie, Rosemary hasn’t changed her position – it just isn’t as extreme and oversimplistic as David Gillespie’s. Rosemary accurately quotes the research! You haven’t read either book? Sorry? I have, what part of the misrepresentation or cherry picking would you like to discuss? I am so glad I DO take advice from a lawyer, than somebody who writes negative comments without having read the books. Your kind Felicity, so called nutritionists, have done such a great job with obesity! You don’t seem to be curtailing it at all. Where those of us who cut out sugar and use healthy fats are healthier than any of your association. How sad for you. I’m sorry we don’t agree. I did extensively research this before writing on it, and sought after opinions of many well respected authorities and health professionals. Unfortunately much of the advice nutritionists might give is not always followed or heard. And I’m all for healthy fats, which is why this topic concerned me! Felicity, I’m sure you did some research, and sought opinions of fellow professionals with the same prejudice as yourself. Until you read David’s books without prejudice you will never understand those of us who cannot believe how much younger we are looking, or how healthy we feel, and are! It saddens me so much to think people like you and your fellow professionals cannot step outside the box. Have you done any research DJ to confirm David’s claims? How can you review and comment on a book you haven’t read? If that were true you wouldn’t comment on a book that you haven’t read in its entirety. I welcome critical thinking and alternative points of view, however they need to be properly backed up. I’ve read it and have reviewed some of the science here – would you like to comment on it? I think you should read the book before you judge it. You criticised David for “cherry-picking”, I don’t see that you’ve done any different. Its not really an “informed view” if you don’t bother to inform yourself before you write something. Liz, have you checked David’s research and would you like to comment on whether he cherry picks? Maybe you should before criticising someone for the same thing? You’re a ‘nutriionist’?…so that means you’ve studied the science?? Or merely just learining it from a text book provided to you at nutrition school which was written by someone who read the science. Right?? So why should I believe you? Have you read the science Kelpiei ? Here’s the science that David himself cherry picked (and missed many more studies) and he even got that wrong – but we all know lawyers are trained to make a case, not find the truth, right? I wouldn’t go to you for dietary advice. You have just commented on two books you haven’t read! I wouldn’t trust any dietitian with financial links to the processed food industry either. The whole message about saturated fats being the cause of CVD was almost completely devoid of supporting evidence. So was assuring everyone that eating table sugar is fine in unspecified “moderate” amounts even if you already have diabetes. Dietitians as a group only have themselves to blame that many Australians would rather listen to a lawyer. Read David’s evidence and tell us what it really says Julian re seed oils- expecting you to run and hide as always when the ball is in your court! Stop trying the ad hominem in place of you being scientifically illiterate – it is a cheap debating (land lawyering) tricks to dismiss your opponents and not try to disprove what they are saying! Run and hide just ignoring you like everyone else does. Of course you are – you makes claims – get challenged and THEN ignore – how convenient! Also note that you are constantly challenging people on twitter to provide evidence and when they do – you ‘ignore’ them too. Most dishonest part of this is that you go and start up exactly the same discussion somewhere else. I haven’t worked out what your game is yet Julian – or why you act this way! A good example of not seeing the forest for the trees: bacon is recommended as an included food in David Gillespie’s dietary recommendations in ‘Toxic Oil’ yet processed meats were one of the few foods that obtained the highest level of evidence (rated as ‘convincing’) by the World Cancer Research Fund in their 2007 report on Food, Nutrition, Physical Activity and the Prevention of Cancer – being strongly linked to bowel cancer – the biggest cancer killer of Australians after lung cancer. In an update to the 2007 report http://www.wcrf.org/cancer_research/cup/ evidence for the lifestyle factors implicated in bowel cancer was only strengthened. Another 263 research papers were considered, adding to the 749 that had already been analysed as part of the 2007 report. Ten new studies investigating red meat and bowel cancer were added to the 14 considered previously. 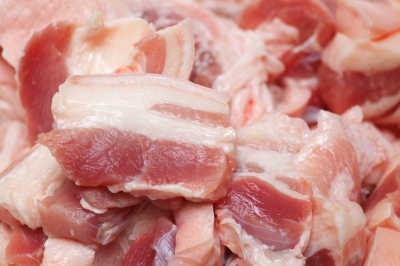 The clear message directly conveyed by the hundreds of scientists and medical professionals who sat on the expert panel behind the report was that red and processed meat increase the risk of bowel cancer. Decreasing how much is eaten will help lessen the risk of bowel cancer. The recommendation straight from the report is that consumption of red meat should be limited to 500 grams (cooked weight) per week and that processed meat should be avoided altogether. Despite the evidence for seed oils and cancer being tenuous at best – amounting to one study used by David in the face of dozens not showing a link and not even appearing on the radar of the World Cancer Research Fund, David is happy to recommend a dietary pattern that is certainly linked to a higher cancer risk. Out of the frying pan and into the fire.